Backed by professionalism we are offering Precision Component Fabrication Service to our customers. 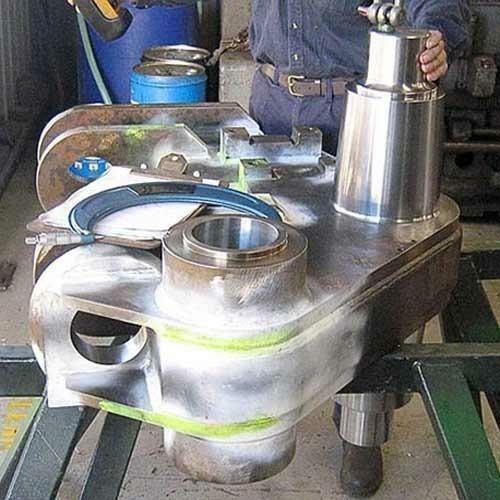 We have hired pool of trained professionals who undertake this fabrication service. They use different types of material in order to do the fabrication. Experts are skilled in using CNC punching and CNC brake forming equipment. Additionally, we are providing this service at affordable price to the customers. Pronto Fabril Pvt. Ltd. is the most prominent entity that started its business operations in the year 2010 at Hyderabad in Telangana, India. We introduce ourselves as one of leading manufacturer and supplier of engineering components. Our product range comprises Industrial Spring, Wire Forms, Anchor Fasteners, Industrial Washer, High Tensile Fasteners and Precision Sheet Metal Component. These products are highly durable, perfect in finishing, maintenance free, completely customized, compact in design, rust proof and have many attributes due to which their demand and acknowledgement arte increasing day by day in the market. Also, we provide Precision Component Service to our clientele with total quality management.